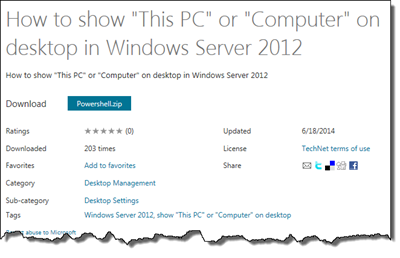 This entry was posted in Windows Home Server on October 18, 2014 by Community Headlines. Although Windows has provided File Explorer, users and IT Pros used to use computer (This PC) on desktop. However, it is not convenient to show the icon through GUI in Windows server 2012 or later version. This script is used to show This PC on desktop easily. You can grab the script from here. 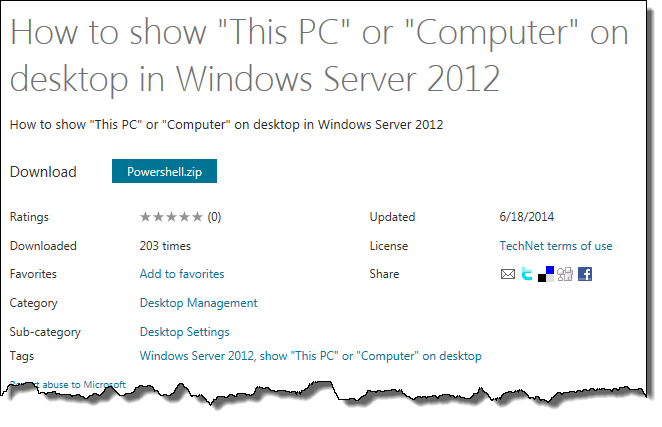 Add This PC or Computer to Your Desktop in Windows Server 2012 is a post from: MS Windows Home Server - Your Personal Guide to Microsoft Windows Home Server!